Inspired by “the Ladies who Bus” who have travelled London one bus route at a time, and building on the work I have done to become a walking tour guide, this blog is about walking London one postcode at a time. There are over 100 London postcode districts so that should keep me busy! I decided to start in the SW postcodes because I realised that most of my working life has been in jobs based in SW1 and for all my adult life I have lived in SW postcodes. So I will walk first in the SW postcodes going in numerical order and work round London clockwise until I get to SE. Then I will go into the central ones of EC and WC. Who knows maybe after all that I will be strong enough to go through the outer postcodes like CR and RM. 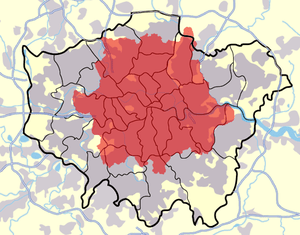 As you can see from the map, there is still quite a bit of Greater London which is outside the London post code area. So a few grounds rules. I will aim to do a walk in each post code area which features around ten or twelve places, buildings or stories of that area. As this is a postcode walk I will start at a post office, usually the main one. I reserve the right to hop on a bus or train if this makes for a better outcome. And for those few mainly central London postcodes which have sub divisions (eg SW1A, SW1Y etc) I am only covering this once (eg as SW1) in the part of my choosing! Culture and exercise,what’s not to like! Hi heard you on the Robert Elms pod how do i get to find what you found in SE10 SE4 SE8 as i left these areas 40 years ago and it would be interesting to see if you found any remaining sites that might still remain intact,great idea keep it up. Stumbled upon this today trying to find the theme tune to Six English Towns! Have book marked this site for later viewing – look forward to it. Great idea, well done and hope the shoe leather lasts. Fabulous Site! The research…… the shoe leather! Well done . Can’t wait for N12. one thing I’m struggling with though is how to find your description of a particular postcode … is there a list with clickable links (if there is I haven’t found it so far), or could you make the “list of London postcodes by name” clickable? Thanks for the feedback. I have struggled to find a solution with this particular template. However I have just added two new features: buttons that take you to the postcode categories (eg SW or W) and a more upfront search facility. I will try and get some clickable links in due course! Of course, you can mention my blog. All the best with your one. So glad to have come across your excellent Blog! What a great idea, I live in SW13 and really enjoyed your view of what was interesting here. And on that basis I imagine your other other walks are equally interesting. I shall be following your future blogs with interest, and will be off on the SW1 walk tomorrow! Thnaks. Glad you like my blog and are actually following the walks out as walks on the real world. Hope my directions are clear enough. Do let me know if you find anything amiss! This a truly wonderful work effort. Have loved reading and seeing all of it so far having grown up in old SW4 and visited the surrounding SW postcodes numerous times over those years in the 1950’s/1960’s and sometimes beyond! Great stuff and keep up the good work! Thanks for the positive comments. Glad you are enjoying this. 12 postcodes published, 2 more researched – 106 yet to visit! Glad I stumbled across your blog. great concept, great posts so far. will enjoy following. Thanks for the positive comments. 8 postcodes down, 111(?) to go!